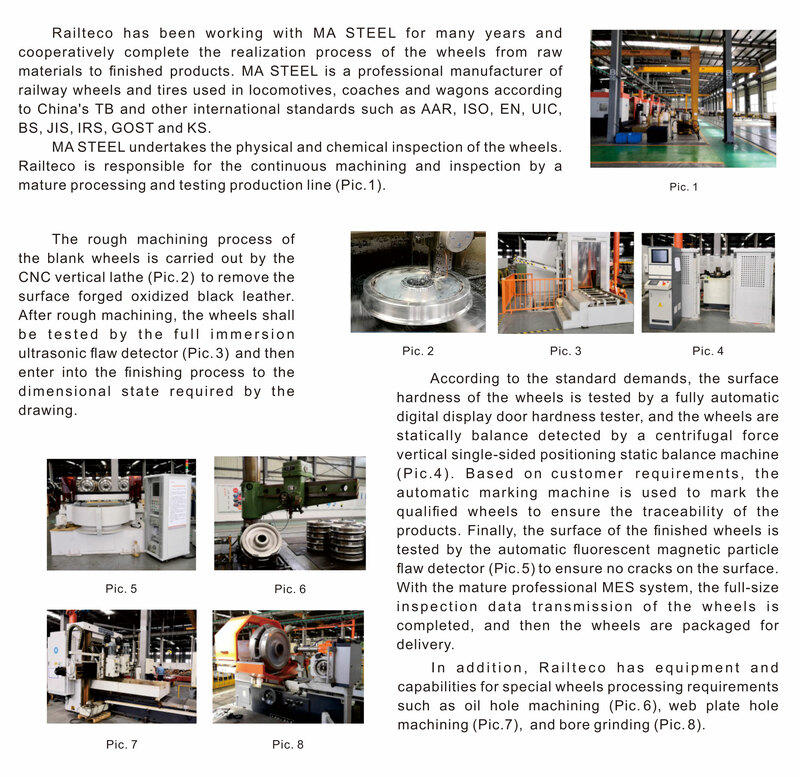 · Freight Wagon Wheel, Passenger Coach Wheel, Locomotive Wheel. · AAR M-101, UIC 811-1, EN13261, GOST 31334, IRIS 16/95, KSR 9220, BS 5892, JIS E4502, TB/T 2945. · From diameter 360mm to 1250mm. · Minimum order quantity 1 pc.